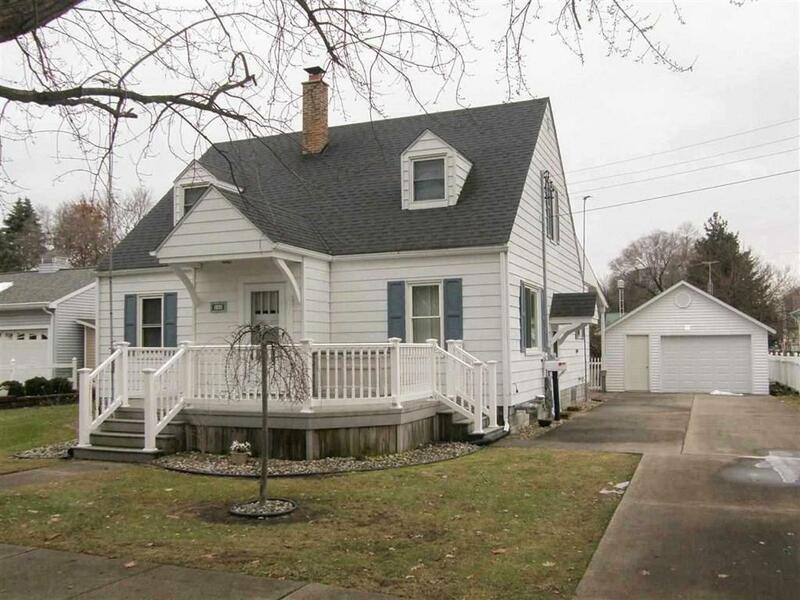 This updated home features a new kitchen, updated full bath, two new second floor half baths, and a fabulous 15 x 26 no maintenance covered backyard deck. Newer above ground pool and a beautifully landscaped yard. Detached garage plus an extra 18 x 26 heated workshop/extra garage. Four 8 x 12 storage shed that are like new.Covered front porch. Finished basement 12 x 16 rec room. Mostly hardwood floors throughout the home. Extra large fenced-in village lot. Beautifully landscaped. Immediate possession.